These outdoor public fixtures may be found on the outskirts of Taichung, Taiwan. This picture was sent in by FR. He writes: "Dear Urinal, Great webpage. Just the right thing to do when sitting on Sunday at work... 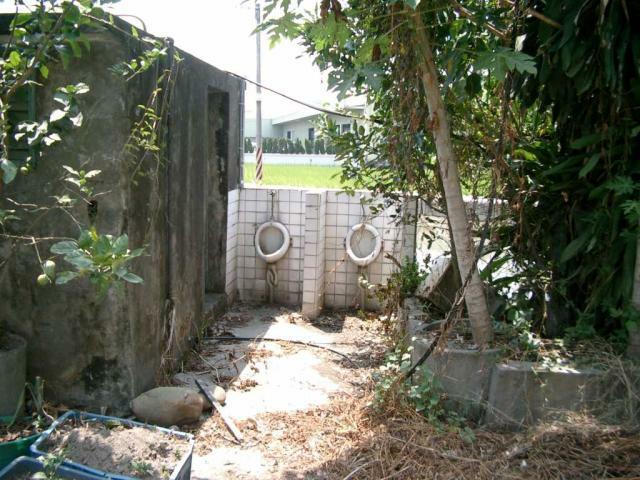 While I was working in Taiwan in 2003, I found this great urinal in the outskirts of the city of Taichung, near the construction site of the new Taiwan High Speed Rail Track where we were working on. I still have to smile when I see this picture, it is the pure freedom..."